Do you want to learn more about LED Light Therapy and how can improve your health? 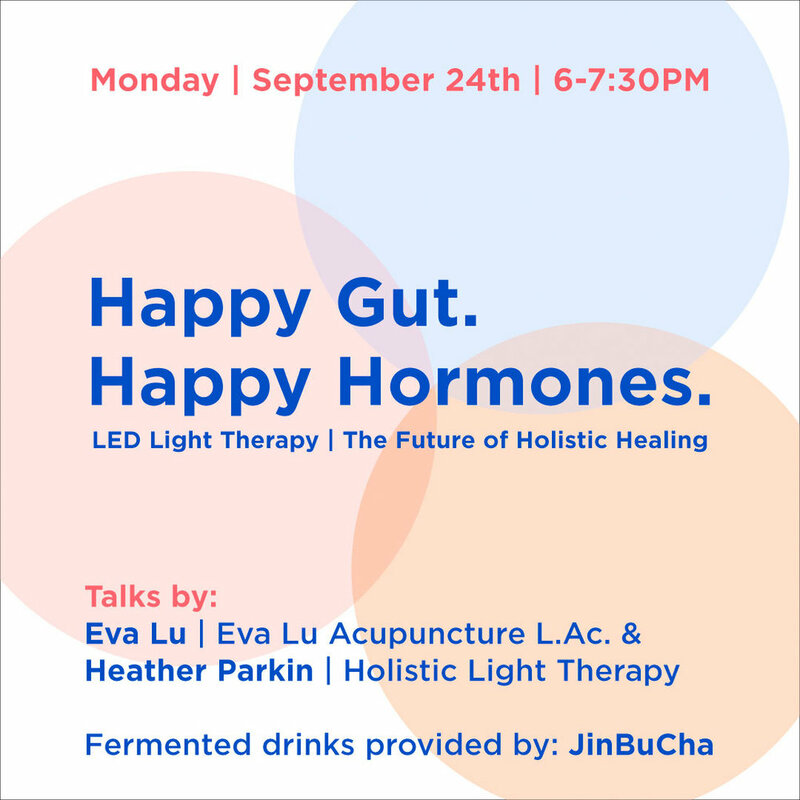 Join myself and Eva Lu Acupuncture to learn how LED Light Therapy can assist in the healing of your gut and balance out your hormones with our: Happy Gut, Happy Hormones Health Seminar Monday, September 24th. We will cover how the gut and hormones are linked, how LED light therapy works to reduce inflammation and renew cells in the body. LED Light Therapy can assist with issues such as Leaky Gut, IBS, SIBO, PCOS, Endometriosis, PMS, cramps, post-pregnancy, menopause, and more!! Fermented drinks will be provided by Jin Bu Cha. Limited space, please RSVP to secure your spot!